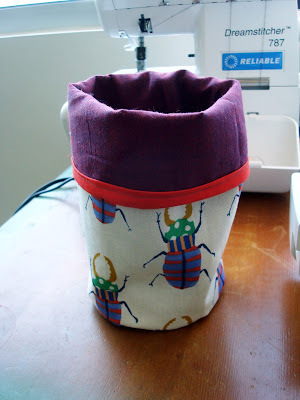 In my (hopefully very temporary) unemployment here in LA I've been able to catch up on a lot of sewing projects that I've been meaning to work on, and make a few domestic items that my adorable new apartment needs. 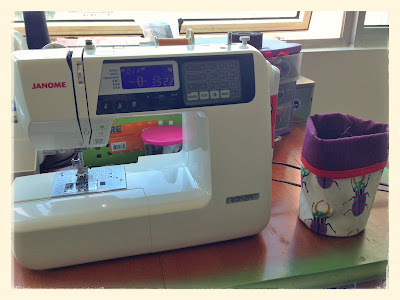 After seeing so many cute scrap sacks and thread catchers at sew days and workshops I knew I had to make my own and properly inaugurate my new sewing space! 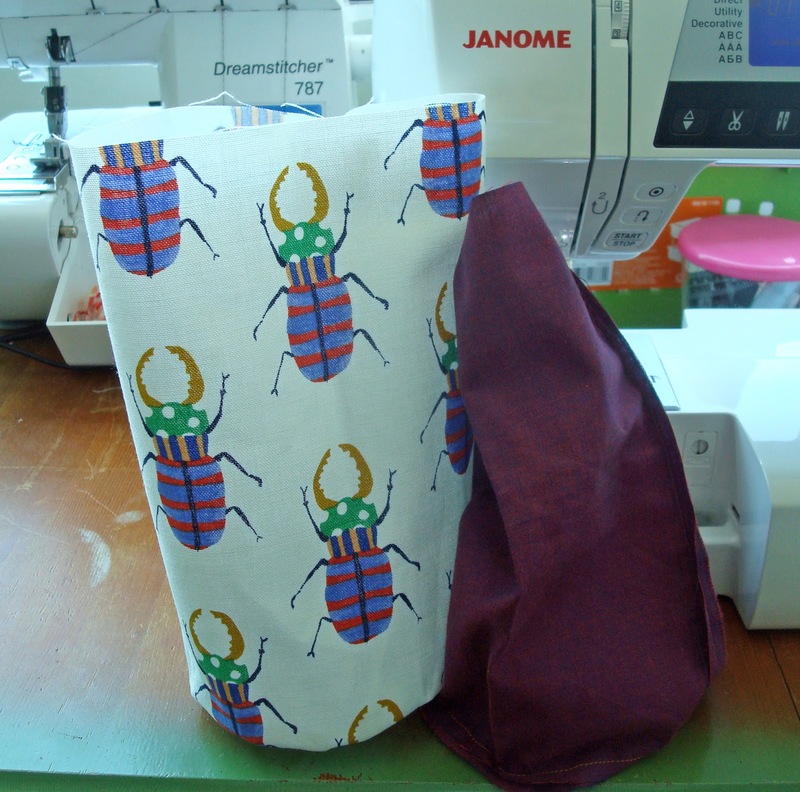 I used Kamiya Kanako's beetle print from Emo Emo for the exterior, and a Kaffe Fassett Shot Cotton in Grape for the interior. 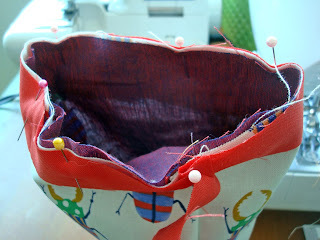 Using your round object cut out one circle each of your interior and exterior fabrics, then get ready to do some easy math. 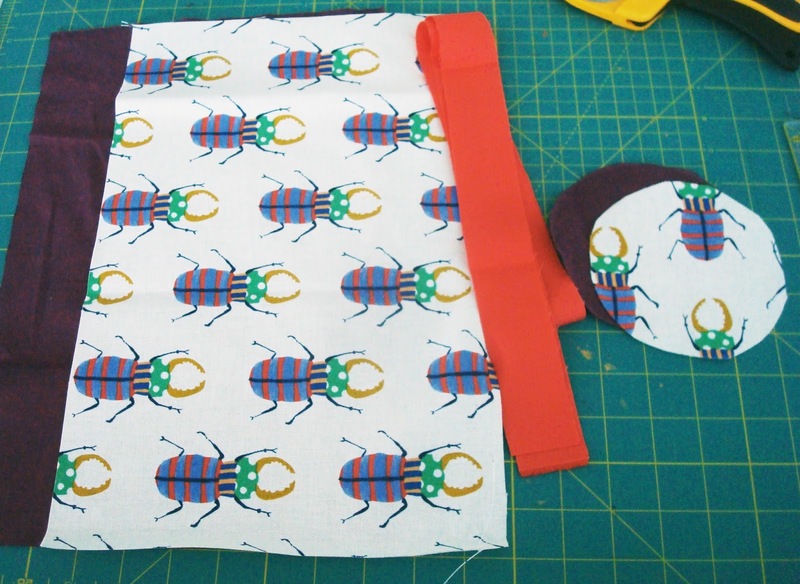 In order to achieve the correct length of the side pieces that you cut you need to determine the circumference of your base circles, and add seam allowance. I then added .5" for seam allowance which gave me 14.63" for the length of my sides. Luckily this is is about 14 and 5/8", but you can round to the nearest number that you're comfortable with; it won't matter too much. Using this measurement cut one piece of your exterior and lining measuring 9" (for height) by the number you calculated (to fit around the base). 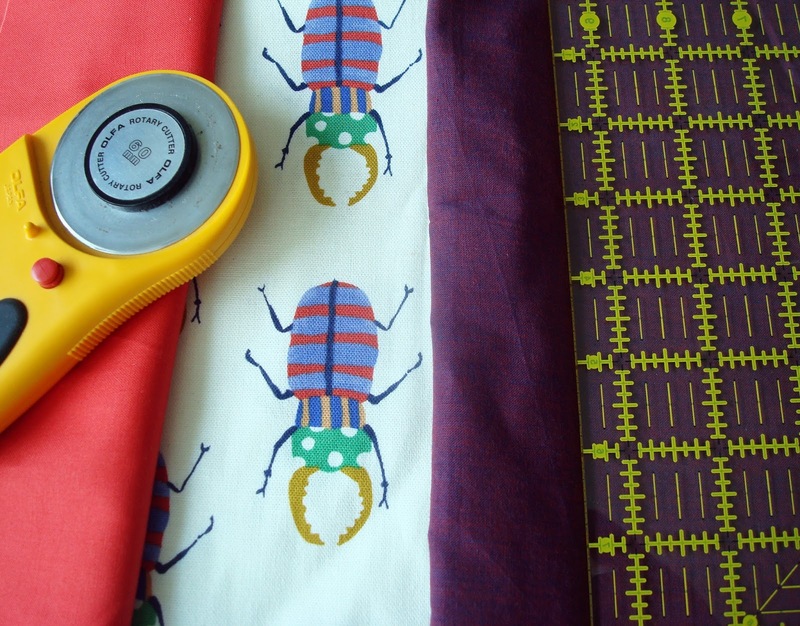 Also make sure that you have your 1.5" strip ready. Right sides together, sew the side seam (9" seam) on your side pieces, and then finger-press your seams open. 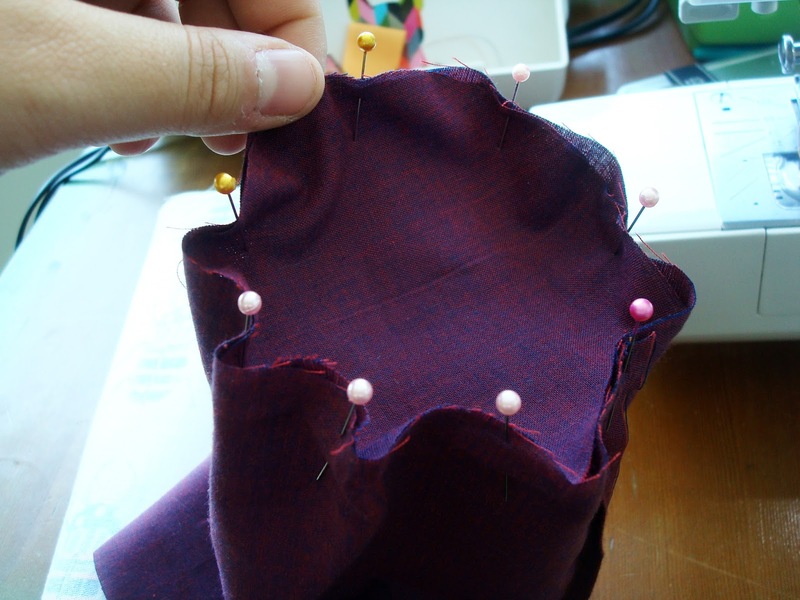 Pin and sew base right sides together on both interior and lining pieces. 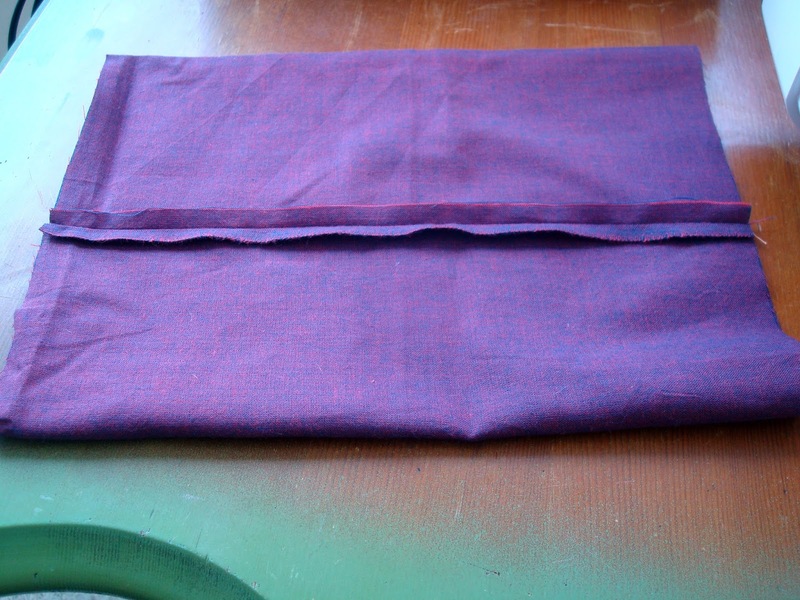 If the sides and the base don't quite match up, make small pleats around the edges, or take in the side seam. Turn your exterior right-side-out, and place the inside-out lining into the right-side out exterior. No seams should be visible when they're nested. 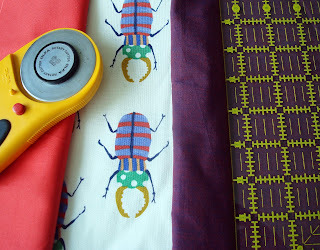 Pin your strip for binding along the top of your sack. When you first begin pinning, fold over your binding by about 1/4", and make sure that your last cut-edge overlaps this fold (to hide the seams). Then stitch down the binding using a 1/4" seam allowance. 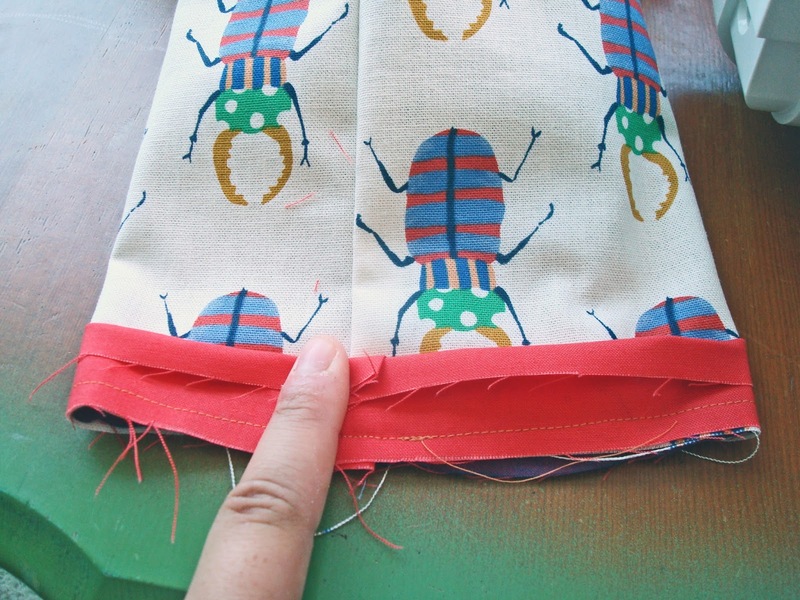 Finger press a 1/4" fold all the way around the unsewn edge of the binding. 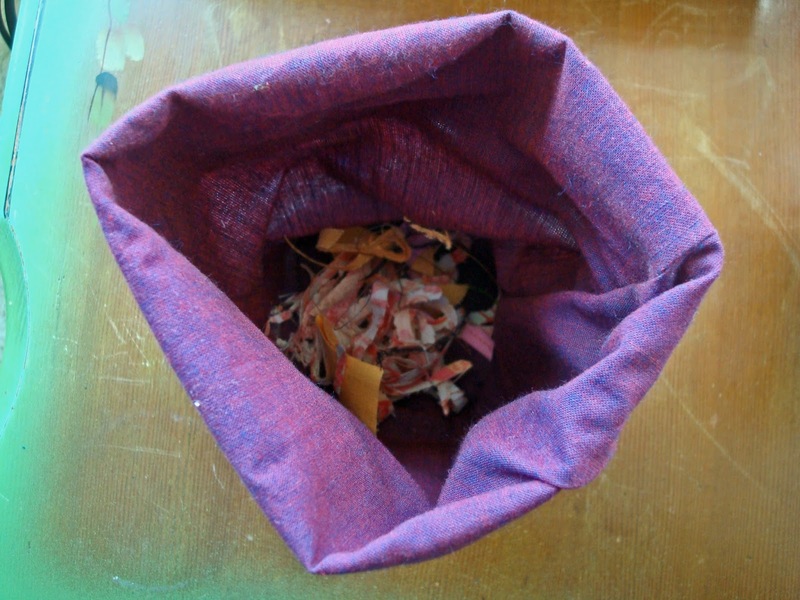 Then fold te binging over the raw edge of the sides so that the fold is on the interior of the sack and no raw edges are visible. Pin. 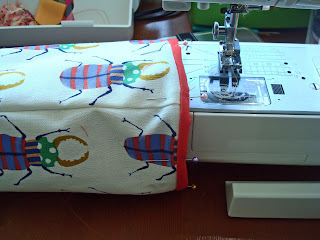 Stitch in the ditch (or if you're like me, you'll sew kind of in the general vicinity of the ditch) on the exterior of your sack, making sure to catch the binding on the interior as you sew. TA-DAH! You're done! Just fold down the top for extra color-cuteness and added stability. Now you can keep your sewing area free of messy scraps and cuts without making a million trips to the waste-basket. 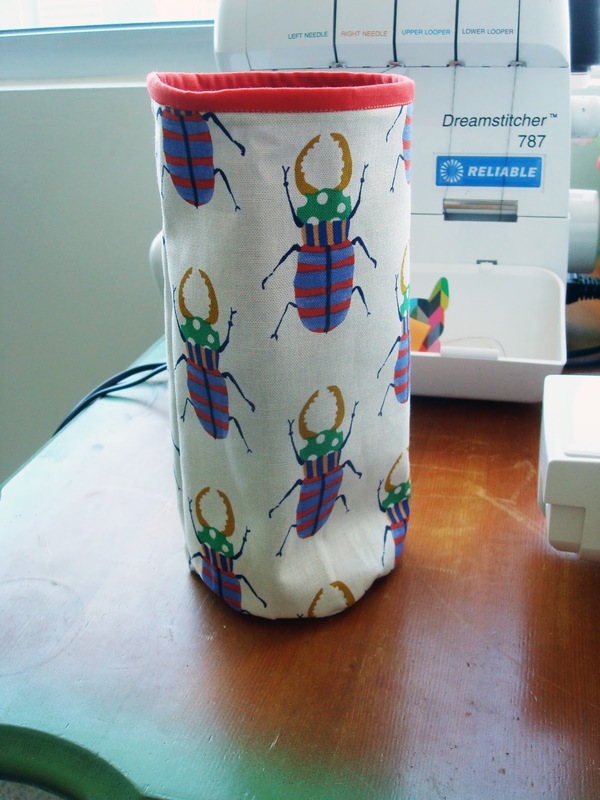 It's perfect for traveling with too. Oooh this is awesome, thank you! I've been wanting to make one of these but didn't really know how. :) I'm gonna whip up one for myself!